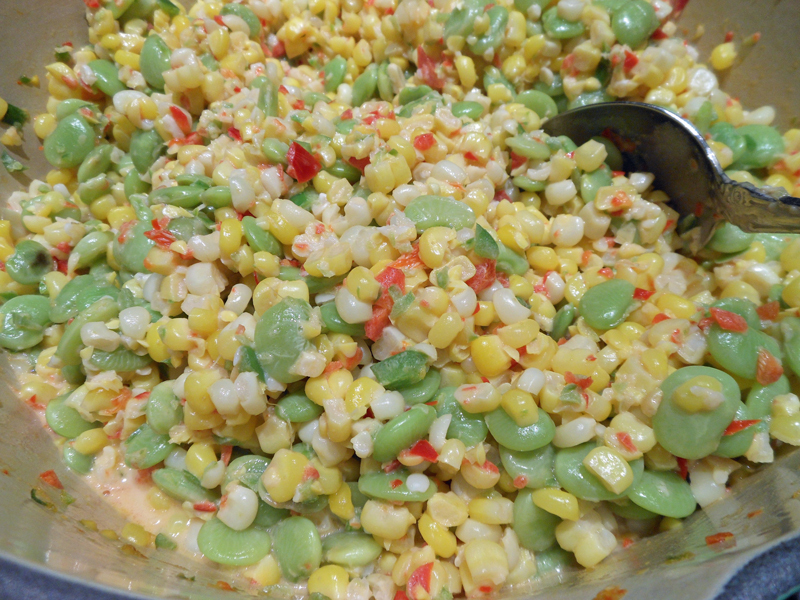 This Southern favorite of lima beans, corn, and chopped peppers is simmered in whipping cream until tender. Delicious! Cook lima beans in boiling salted water to cover 5 to 8 minutes or until beans are barely tender; drain. Transfer lima beans to a large skillet. Add corn and remaining ingredients. Cook over medium heat 10 to 15 minutes or until vegetables are tender, stirring occasionally.